Growing older doesn’t mean we should cease the celebration! In fact, we should party harder than ever. I mean, we have lived this long, struggled this hard, and still look this good! Isis has the right idea with her Dirty Thirty cake smash in Boca Raton. We have every right to celebrate and celebrate big, with cake, champagne, and all things that make you happy! 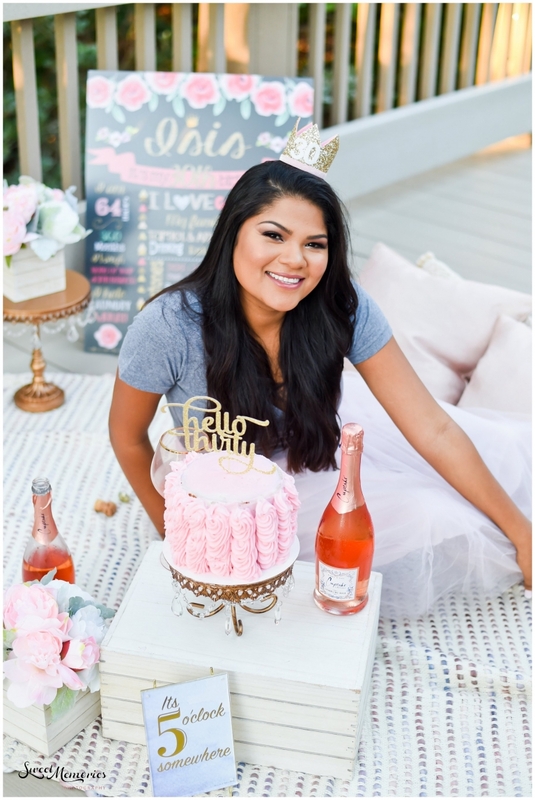 For Isis, she wanted all things pink, with a yummy cake, popping champagne, a sign representing her life thus far, and dancing around in a pink tutu (and she looks amazing doing it!). What’s a Cake Smash, You Ask? For those of you who don’t know or haven’t heard of a cake smash, it became a big thing for first birthdays. It’s when a baby turns one and experiences his or her birthday for the first time … which also normally means, cake for the first time. These pictures are hilarious! The 1-year old doesn’t know what to do with the cake and the parents usually have to assist. Insert cake and icing in mouth and that’s when the funny expressions start: confusion, fascination, then either love or hate! Cake smashes for adults are slightly different, obviously! We have the benefit of choosing our own flavors and colors, and we can definitely feed ourselves. But the best part is when you let loose and dig in! Who needs forks or plates?! We have our hands and mouths! We’re allowed to get a little dirty. It is our day and our cake after all! If you don’t see a service on our website that you’d like covered, please reach out! Just because it’s not on our site doesn’t mean we don’t do it. We love to capture all of life’s sweet memories!